PPI's president, Ray Sheen, has testified as an expert witness in federal proceedings. He is a seasoned professional with expertise in product development and business systems management, in particular with regard to military weapon system development projects and electrical product development projects. In addition, he has served on industry standards committees for electrical products and was the Chairman of the industry-wide task force charged with developing the standards and certification process for the arc-fault circuit interrupter, a new line of commercial electrical products. 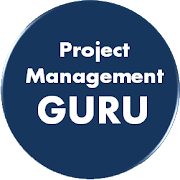 He has earned the Project Management Professional certification through the Project Management Institute and is certified Scrum Master. Ray is able to provide consulting services at all stages of the legal process, from pre-filing to discovery to trial. He can analyze project and business records to assist counsel in determining potential causes of action and potential recoveries. He is able to assist in developing and responding to interrogatories and other discovery requests and critiquing opposing expert analysis and issue reports when needed.